ow to Budget Your Money With Elizabeth Warren's 50-20-30 Rule? What's the best way to slice the money pie? It's a question many people struggle with, and there are lots of options are out there for how to make the cut. One formula that’s on the upswing is the 50-20-30 rule, one of the more workable plans for managing your money. It's open to debate whether U.S. Senator Elizabeth Warren thought up the 50-20-30 rule, but she popularized it in “All Your Worth: The Ultimate Lifetime Money Plan," the book she wrote with her daughter, Amelia Warren Tyagi. In her book, Warren advocates for using the 50-20-30 budget rule to cut up your monthly money pie into three portions: necessities, long-term financial goals and desires. Necessities gets the biggest bite at 50 percent of the whole, but desires nudges out long-term financial obligations at 30 percent to 20 percent, respectively. Although you think you can't be happy without having your favorite perfume, it's not included in essentials. Under the 50-20-30 plan, you pay for necessities first, allocating no more than half of your paycheck to them. You don't have too much wiggle room with the definition of essentials, according to San Francisco Bay Area financial planner Kerry Kim. "Essentials here are limited to four categories," Kim says. "They include housing costs, transportation, utilities and eat-in food." That means if your combined household income is $6,000 per month, essential expenses are capped at $3,000. This can be difficult to achieve, Kim acknowledges, in high-rent cities like San Francisco. Financial "shoulds" — like paying off student debt or tucking money into retirement savings accounts — are often ignored when money is tight. Under Warren's plan, however, financial obligations are second in line, right after basic living costs. 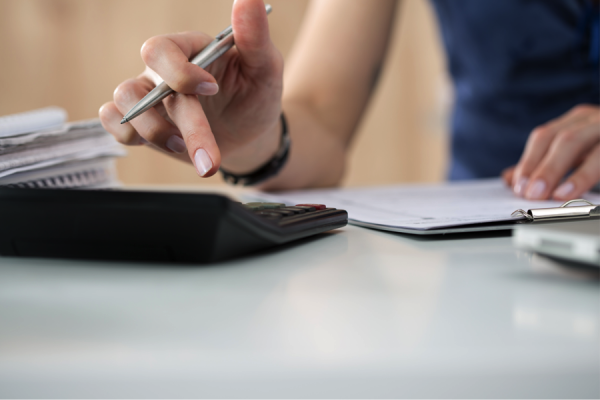 While it may seem difficult to do without 20 percent of your total income every month, it also can seem like too little to make a true difference in your financial future. Don't think of using this money for short-term goals, like paying for a vacation or a new computer. Think of the 20 percent portion of the pie — $1,200 in the $6,000-per-month example — as going to long-term financial priorities, such as paying off debts and saving for emergencies and retirement. Though it may not seem like much in the short-term, saving $1,200 a month amounts to $14,400 a year saved, and $70,000 over five years. You won't feel guilty about having fun on the 50-20-30 budget plan. You should allocate a full 30 percent of your take-home pay to "lifestyle choices." That's $2,000 if you bring home $6,000 per month. Everything that makes you happy goes into this bucket: leisure travel, new clothes, cell-phones and evenings out. And, that expensive perfume. While you can live a basic life without these extras, they provide the pizzazz that makes every month exciting and delightful. Some types of spending can be categorized as either essential or discretionary in the 50-20-30 formula. Use that elbow room to tailor your budget to your personal situation. Only you can decide if your Internet connection and cable TV subscriptions are needs or desires.